The L train is back! Don’t get used to it. The L train will be back for weekend service from December until late in January, a relief from the weekend dress rehearsal it’s been staging since this summer. The bad news is that the J and M trains won’t be running between Manhattan and Brooklyn on weekends until late in January. Free shuttle buses, should you choose them, can get you from Hewes Street to Essex Street and between Essex and Metropolitan Avenue. Before you head out this weekend, check the rest of the planned service changes ahead. Woodlawn-bound 4 trains skip 23 Street and 33 Street in Manhattan. 6 (4 late night) trains skip 28 street in both directions through December. 5 Trains will run every 20 minutes. Every Wednesday, Friday and Saturday, 12:40 a.m. to 5 a.m. Hunters Point Avenue and Vernon Boulevard-Jackson Avenue – bound 7 trains (i.e. all 7 trains) board at the Flushing-bound platform. Flushing-bound 7 trains skip 33, 40, 46, 52 and 69 Streets in Queens. Inwood/168th Street-bound A and B trains skip 72, 81, 86, 96, 103, 110, 116 and 135 Streets in Manhattan. Ozone Park/Far Rockaway-bound A trains make local stops at 50 Street and 23 Street in Manhattan. Ozone Park/Far Rockaway-bound A trains run via the F from West 4 Street in Manhattan to Jay St-MetroTech in Brooklyn (No Ozone Park/Far Rockaway-bound service at Spring, Canal, Chambers, Fulton and High Streets.). Euclid Avenue-bound C trains run via the F from West 4 Street in Manhattan to Jay Street-MetroTech in Brooklyn. Also: C trains run every 12 minutes. Late nights only, World Trade Center-bound E trains skip 65 Street, Northern Boulevard, 46 Street, Steinway Street and 36 Street in Queens. Franklin Avenue S Shuttle service in Brooklyn isn’t running; take the free shuttle buses instead. B,D trains skip 167th Street and 174-175 Streets in both directions. Through December, the 62 St/New Utrecht Av Station D, N transfer passageway is closed due to elevator repairs. Norwood-bound D trains skip 155 Street in Manhattan and 161 Street and 170 Street in the Bronx. Coney Island-bound D trains skip DeKalb Avenue and run express from Atlantic Avenue-Barclays Center to 36 Street in Brooklyn (and D trains run every 12 minutes). F trains skip 57th Street in both directions. Brooklyn-bound F trains skip 14th and 23 Streets in Manhattan. 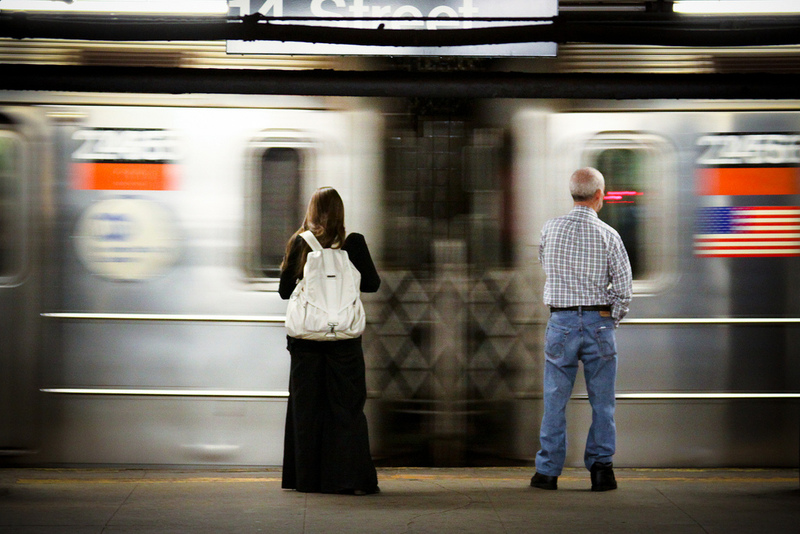 Late nights, Brooklyn-bound F trains run local from 71 Avenue to 21 Street-Queensbridge. Jamaica-bound F trains will run on the E line between 47-50 Streets in Manhattan and Roosevelt Avenue in Queens. There is no F service between Church Avenue and Stillwell Avenue in Brooklyn (your shuttle bus awaits.). As mentioned, there is no J or M Service between Hewes Street in Brooklyn and Broad Street in Manhattan. M Service between Myrtle Avenue in Brooklyn and Essex Street in Manhattan is replaced by the J and free shuttle buses. J trains run between Jamaica Center and Hewes Street. M trains run between Metropolitan Avenue and Myrtle Avenue. Shuttle buses run between Hewes Street and Essex Street, stopping at Marcy Avenue. N, W trains skip Broadway and 39 Avenue in both directions. Coney Island-bound N trains skip 49 Street in Manhattan. Coney Island-bound N trains run express via the Manhattan Bridge from Canal Street in Manhattan to 36 Street in Brooklyn and skip DeKalb Avenue. Coney Island-bound N trains skip Fort Hamilton Pkwy, New Utrecht Avenue, 18 Avenue and 20 Avenue. N Trains are making local stops in Brooklyn at 53 Street and 45 Street in both directions. N service is replaced by free shuttle buses between Ditmars Blvd and Queensboro Plaza in Queens. For all of the reasons above and more, N Trains will run every 12 minutes. Coney Island-bound Q trains will run via the R from Canal Street in Manhattan to DeKalb Avenue in Brooklyn, and will skip 49th Street in Manhattan. Bay Ridge-bound R trains will skip 49 Street in Manhattan. There will be no late night R service in either direction between Whitehall Street in Manhattan and Atlantic Av-Barclays Center in Brooklyn. Bay Ridge-bound R trains will run express via the Manhattan Bridge from Canal Street in Manhattan to 36 Street in Brooklyn, skipping DeKalb Avenue. Bay Ridge-bound R trains will also skip Queens Plaza in Queens, Lexington Av/59 Street and 5 Av/59 Street in Manhattan. Jamaica Center-bound J, Z trains will skip 104th Street. Church Avenue-bound G trains skip Greenpoint Avenue. Also, no G service between Nassau Avenue in Brooklyn and Court Square in Queens, with shuttle buses picking up the slack. SIR Trains board at the St. George-bound platform from Prince’s Bay to Arthur Kill Stations. Sunday, December 2, from 6:30 a.m. to 7 p.m. SIR trains board at the Tottenville-bound platform from Jefferson Avenue to Old Town Stations.